It only took a few hours after the Cubs lost to the Rockies for the Bryce Harper rumors to begin anew. The sports betting company Bovada put the Cubs at even money to sign Harper when free agency begins after the World Series ends. While the Cubs do have a good shot at signing the soon-to-be free agent, it is definitely not a sure thing. Although, I sure do like the Cubs chances. You can figure out who’s going to play where later. And in other MiLB news, the Cubs will be back at Tennessee in 2019. Considering the PDC is only for two years means that the two sides are going to be working some things out between now and 2020 or the Cubs will have a new AA home in 2021. The Arizona Fall League is set to begin on Wednesday Tuesday, October 9. The Cubs have a total of nine players who will be on the roster for the Mesa Solar Sox. Most of the players played their 2018 season at Myrtle Beach. 2018 first round draft pick Nico Hoerner looks to be the prospect to watch every day. It’ll be interesting to see how he does against such advanced competition after only getting in 49 at bats as a pro this summer before an elbow injury forced him to miss the last six weeks of the season at South Bend. I’m excited to see how well several other prospects do in this advanced setting. Reliever Bailey Clark is going to be one player I will watch with great anticipation. As well, I’m curious as to how outfielder DJ Wilson will do and hopefully he can stay healthy. 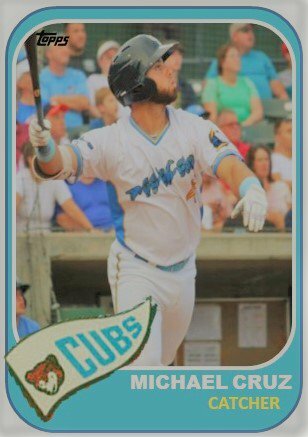 Other Cubs prospects playing in the league include pitchers Erick Leal and Manny Rondon, catchers Jhonny Pereda and PJ Higgins, and 2B Trent Giambrone. Starting tomorrow, I’m going to be releasing the 2018 season reviews for each of the Cubs’ stateside affiliates. I’m going to start with AAA Iowa and work my way down to South Bend this week. Next week, I will cover Eugene and the two Mesa clubs. While the first half of each article is technically a review of the 2018 season, The second half looks at which prospects should be promoted to the next level and which prospects should be arriving from the level below. The hardest part of projecting next season squads came down to who is going to be in the rotation at each affiliate. A lot of that still has to be determined come spring training.